Found one file extension association related to BreakNeck and 1 file format developed specifically for use with BreakNeck. BreakNeck is a fast-paced arcade-style racer with a bevy of cars, tracks, and gameplay options. Earlier this week, SouthPeak Interactive held a press event in the city to show off a number of its upcoming PC games. 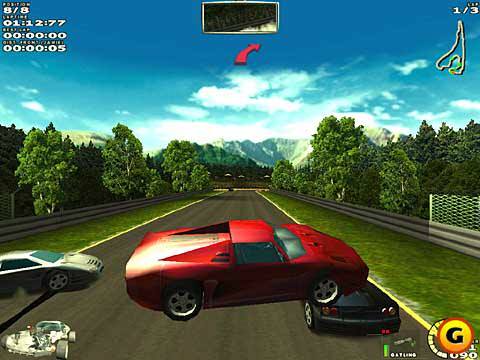 One of the more eye-catching titles being shown was BreakNeck, a fast-paced arcade-style racer with a bevy of cars, tracks, and gameplay options. In the single-player mode, you get a choice to play either in an arcade setting or in a normal setting with a more conservative physics model. The latter lets you race through a series of tracks from around the world in a classic championship event. Here, you can modify your car's engine, brake, suspension, and tire tuning to your liking for optimal performance around the tracks. The arcade mode is a bit more fun, and it introduces weaponry to an environment with less-than-realistic physics. The end result is a game that looks and plays like a 3D version of Blizzard's 16-bit racer, Rock & Roll Racing. In all, BreakNeck has more than 43 cars from four different classes and 24 unique racetracks with four different versions of each for a total of 96 tracks in all. If you need more information please contact the developers of BreakNeck (SouthPeak Interactive), or check out their product website.